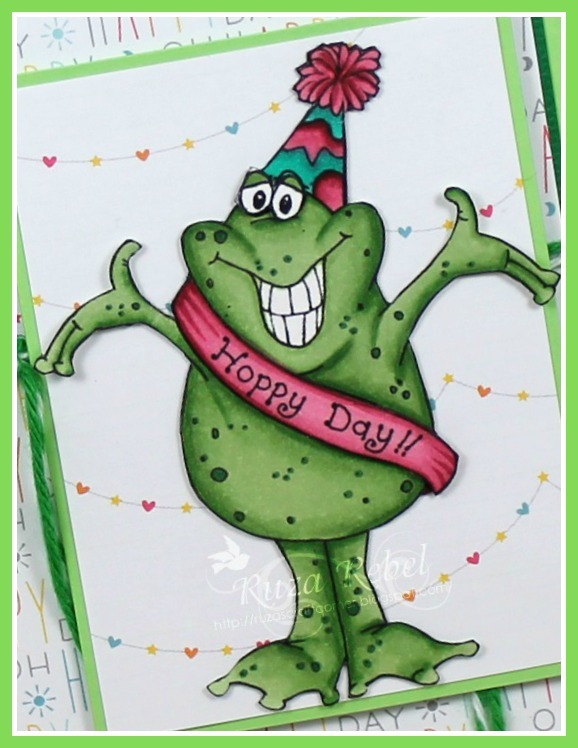 super FUN NEW Froggie Hoppy Day from the Crissy's Digi's Collection. This guy is so cute, and he's perfect for creating Birthday Cards with. My card is on the long side so that I can easily slip some money inside. Young or Old ... I think the recipient will truly love a card with this guy on the cover!